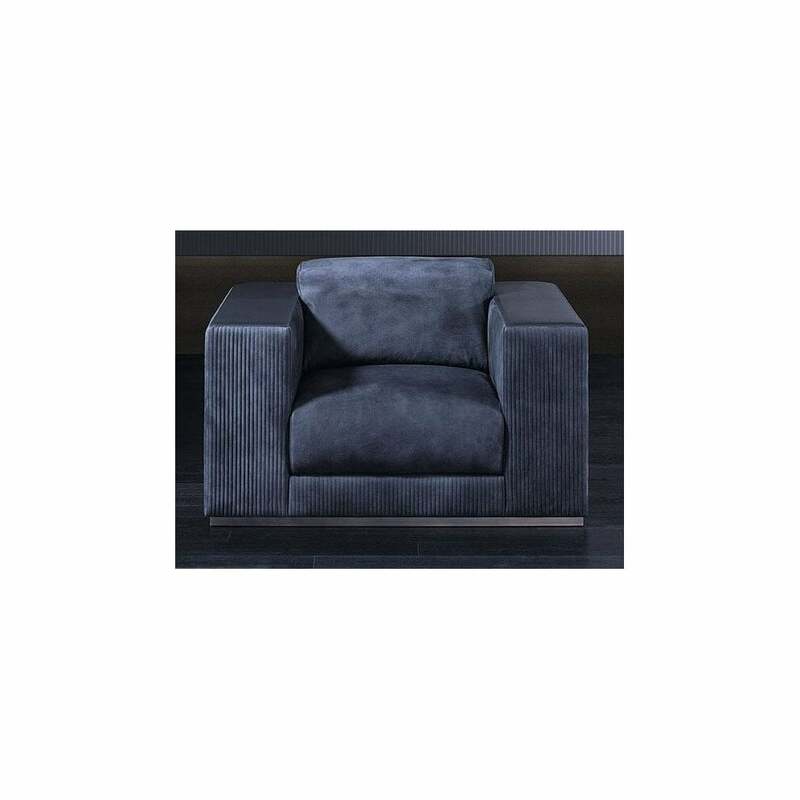 Timeless and elegant, the Vogue Armchair by Rugiano Interiors is inspired by gentlemen’s club chairs from the Art Deco era. The solid frame and deep seat are hand-crafted by skilled artisans at the Rugiano studios in Milan. Upholstered in the finest Pelle leather and Tessuto fabric, choose from a wide range of sophisticated colourways to suit your living room scheme. Completed with a steel or bronze base and pleated armrests, combine with the Vogue Sofa and the Liberty Lamp for a retro look that exudes Italian glamour. We love the combination of deep blue suede and stone leather. Samples are available upon request, make an enquiry for more information.